Last year, Goa added to the countrya��s art scene with Sensorium. Founded by Dattaraj Salgaocar and author Siddharth Shanghvi, it celebrates old masters and young talents, and brings together various disciplines. a�?This year, Siddharth thought of building Sensorium around the theme of love, and I fell in love with the idea, too,a�? says Isheta Salgaocar, the executive producer, adding, a�?The festival will see love in all its vivid formsa��from devotional to patriotic love, the love of a form, of a place, of a history, of a person and, of course, the impulse in itself.a�? Hosted in Panjim, the founders, along with exhibition curator Leandre Da��Souza, has partnered with seven of Indiaa��s leading galleries, including Vadehra Art Gallery and PhotoINK, to put the show together. a�?The art will transcend visual and performance art. It will include mixed media paintings, photography, sculptures and more. 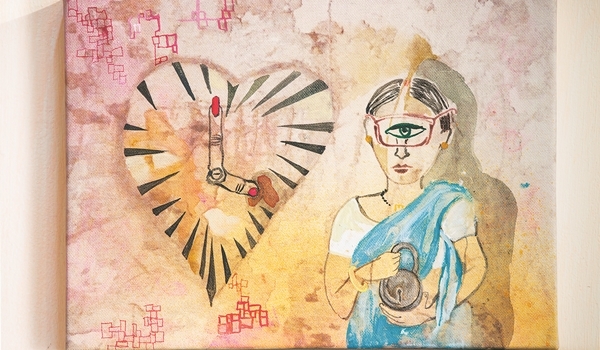 We even have original works responding to the theme of love from artists like Mithu Sen and Tushar Joag,a�? says Shanghvi. Speaking about the works that really touched him, he says, a�?Anita Dubea��s I Love You…, stands out as she weaves Pablo Nerudaa��s stunning poetry into her installation. Another favourite is A Ramachandrana��s The Monsoon Flowers, which allows you to hear and feel the monsoon with its brilliant colours and strokes.a�? He is also looking forward to the programminga��like Nikhil Chopraa��s performance art (a�?which sits at the intersection of techniques of photography, drawing and performancea�?). Music is a new addition. a�?It travels ahead of visual language and text, taking the festival to a new realm,a�? says Shanghvi, adding The Cenere Project, by an Italian trio, is a must-catch. There will also be discussions with artists like Atul Dodiya (at the Shanghvi Salon), walk-throughs with artists like Anita Dube, and a photography workshop with Devika Daulet Singh.